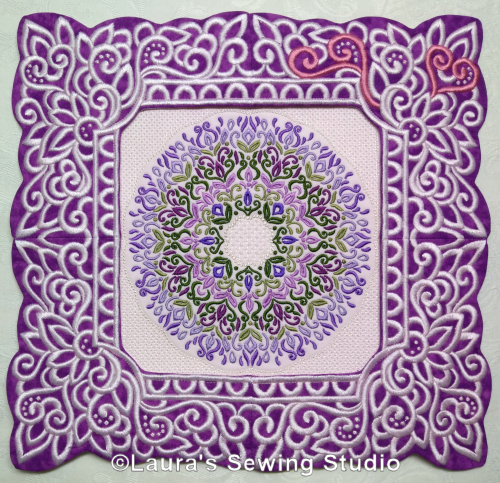 Although made for the kaleidoscope blocks, the 8 x 8 free-standing frames can be used for any size design up to 8 x 8 inches square. 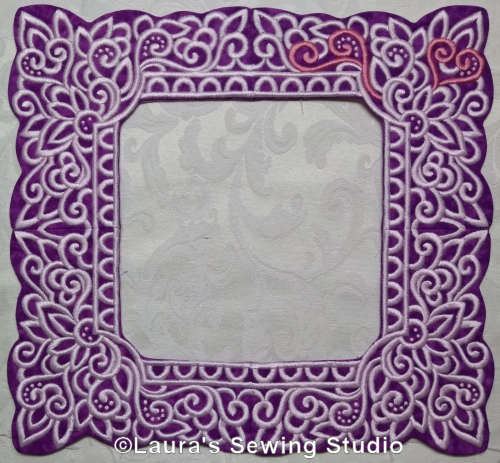 The 6×6 free-standing frames can be used for any designs up to 6 inches square. 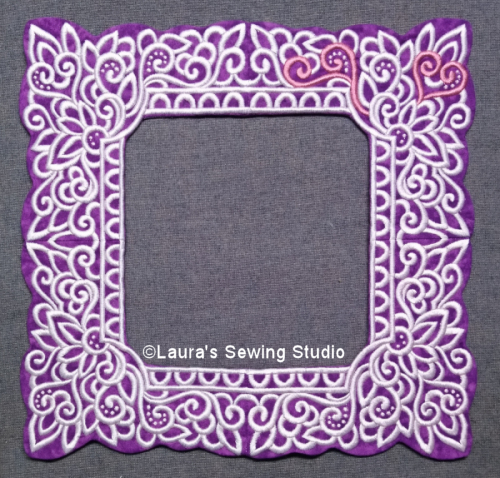 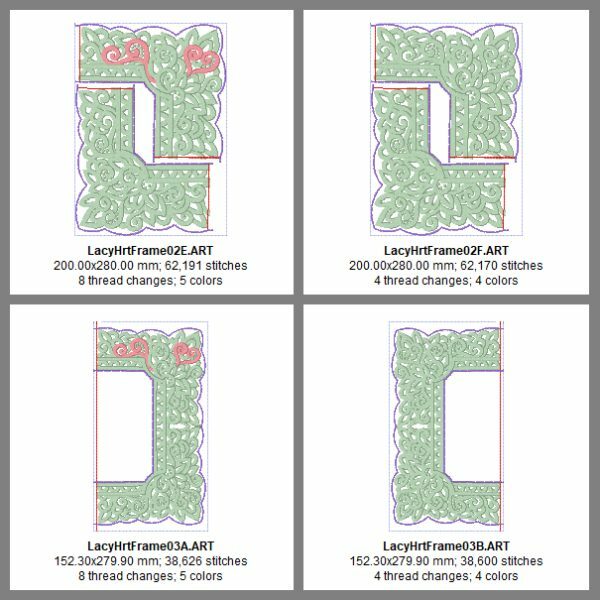 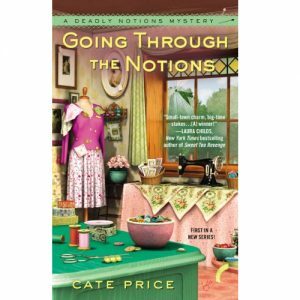 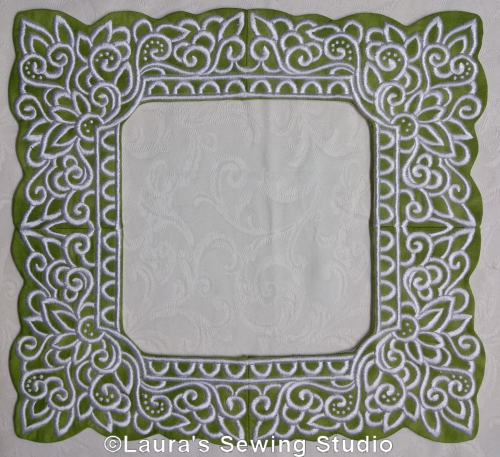 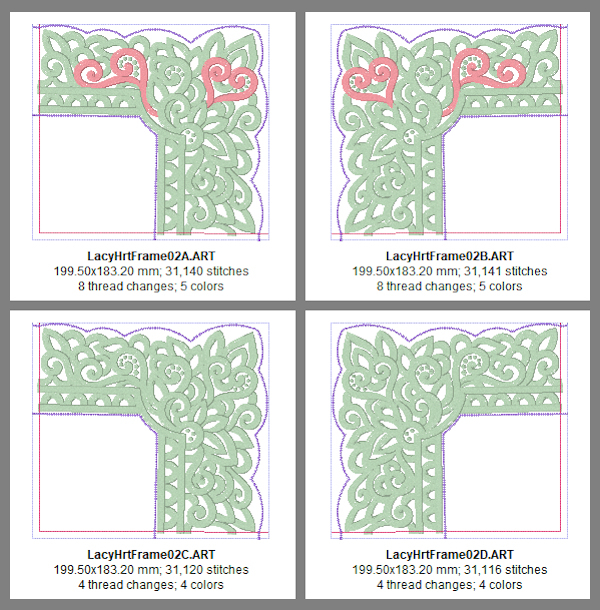 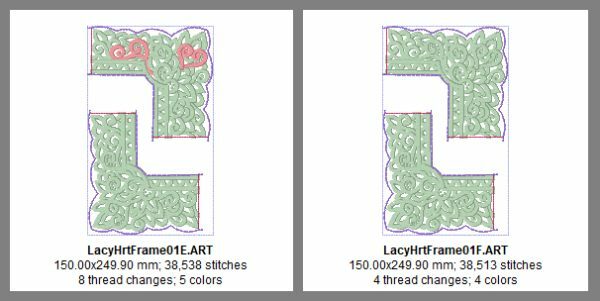 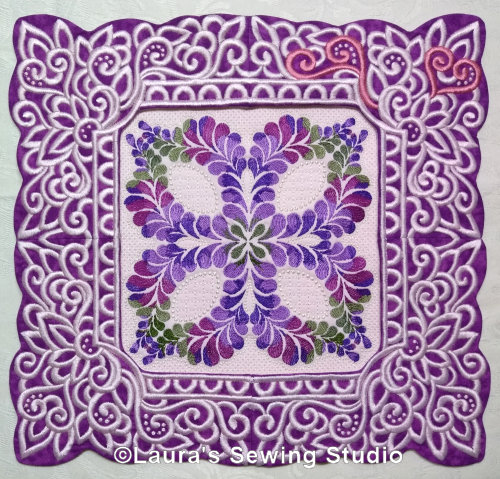 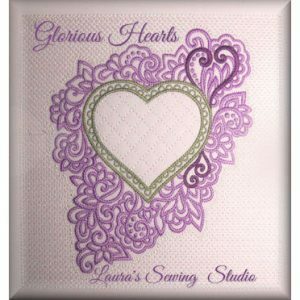 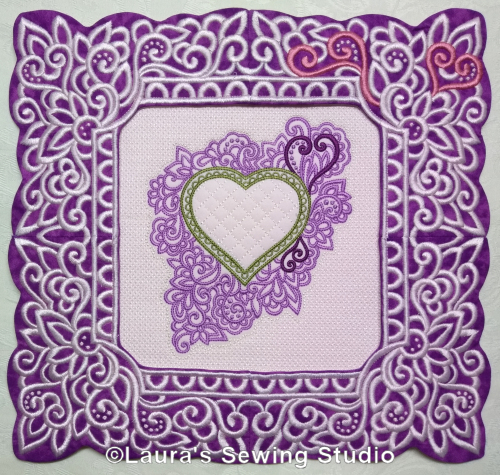 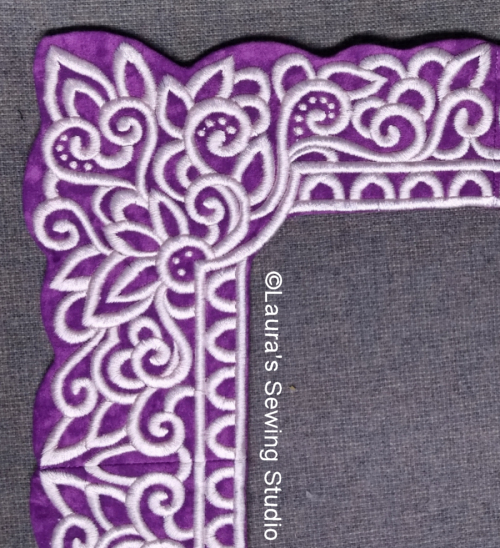 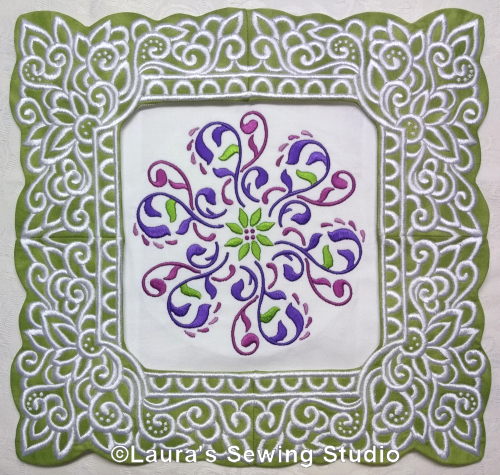 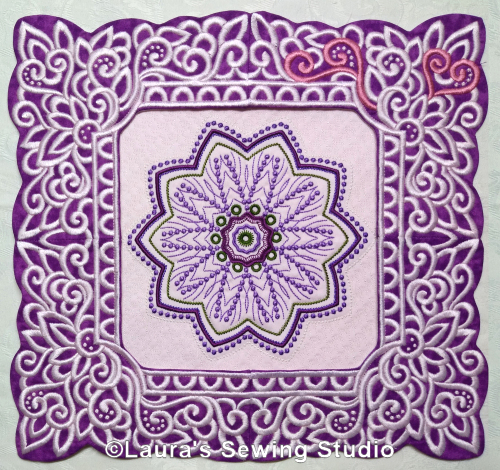 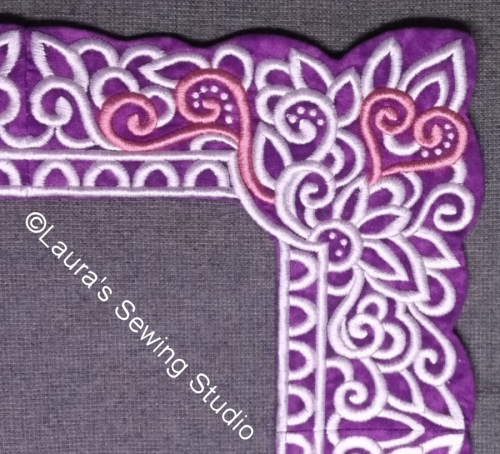 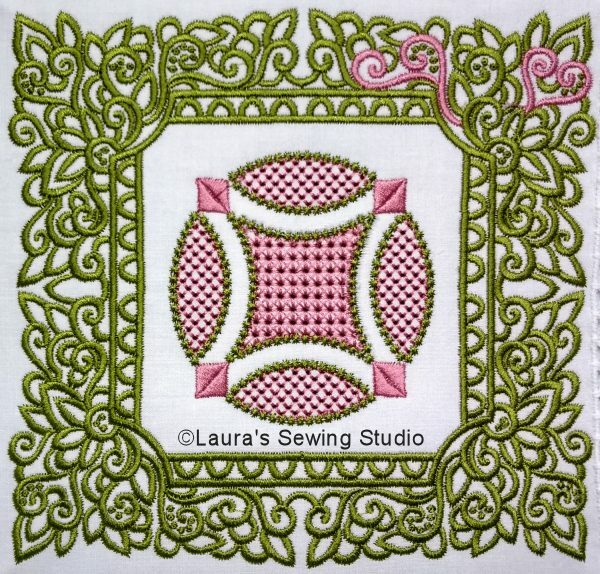 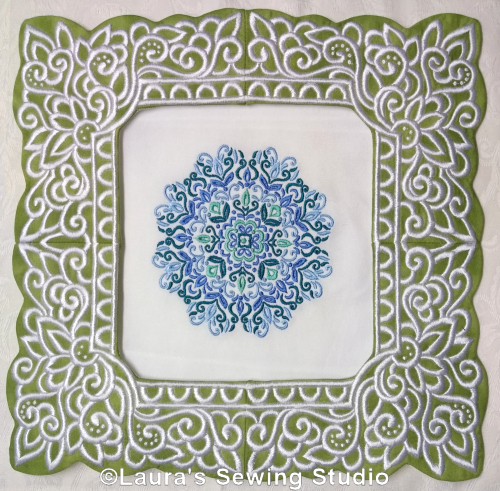 These designs can be made as free-standing frames (not free-standing lace). 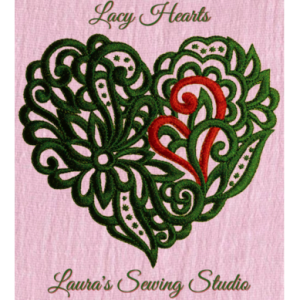 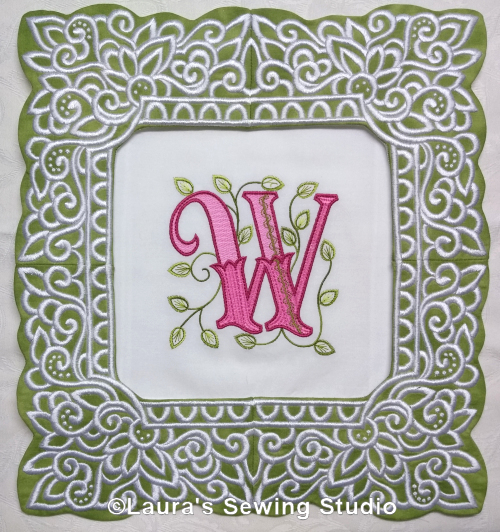 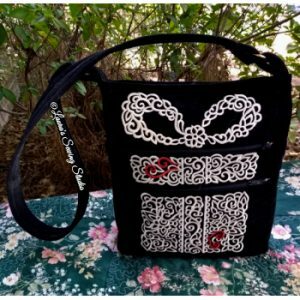 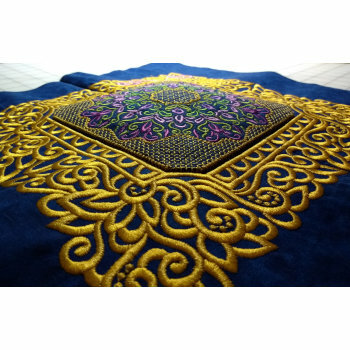 Visit my tutorial pages Making Embroidery Frames to see how these are made. 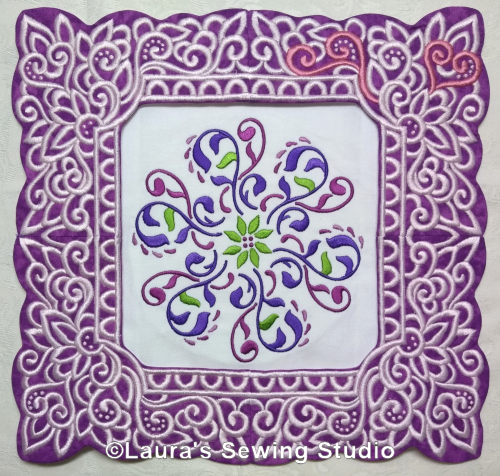 This is how I made the plum frames around the Kaleidoscope blocks.